OakNorth, the bank for entrepreneurs, by entrepreneurs, has provided The Inn Collection Group – one of North East England’s top leisure operators with seven sites across Northumberland, County Durham and Teesside – with finance to fund their expansion. Established in 2006, The Inn Collection Group has become a market leader in developing contemporary inns providing accommodation, food and drink to leisure and business customers. It currently has 215 rooms across its seven sites, but plans to increase this to almost 300 by 2020 with the OakNorth lending. 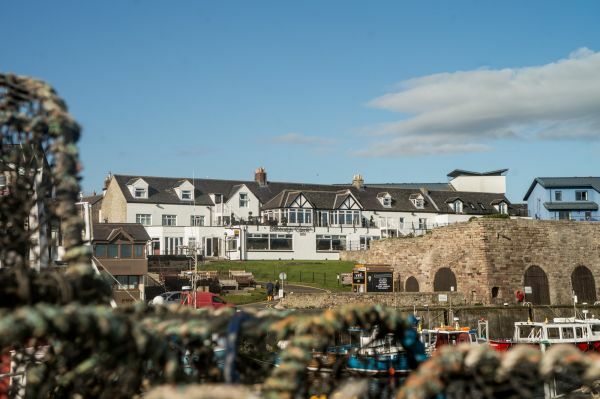 In addition to opening an eighth inn later this year – a 30-bedroom inn in Amble, Northumberland – the business has added another 13 rooms to The Bamburgh Castle Inn, The Annex, and has refurbished the Seaton Lane Inn that has recently reopened. The group’s growth map also includes the addition of 29 new rooms at its popular Durham city centre operation, The Kingslodge Inn. Stuart Blair, Debt Finance Director at OakNorth, said: “The UK’s hotel industry has seen annual growth of three percent for the last five years, boosted by major events such as the London Olympics, the Royal Wedding, and the Rugby World Cup. The Great Exhibition of the North which is currently underway is expected to give the region’s tourism a further boost, attracting approx. three million people and one million from across the UK. Named after the Inn in Harry Potter books, The three star Hog’s Head Inn is just a short drive from Alnwick Castle – or Hogwarts in JK Rowling’s tales of the boy wizard and his friends – and the famous Alnwick Gardens and Treehouse. Offering exceptionally good food, free Wi-Fi and plenty of parking, The Hog’s Head Inn is a brand new place to eat, drink, sleep and explore. Opening its doors in time for the Tall Ships arrival in the Port of Blyth, the sleek new Commissioners Quay Inn is the jewel in the crown of Blyth’s impressive harbour development. Maximising every inch of its water’s edge location, enjoy unbeatable sea views, all day, every day dining and contemporary en-suite bedrooms. The Commissioners Quay Inn is the place to eat, drink, sleep and explore from. We're open all day, from 7.30am until 9.00pm serving homemade breakfasts, light bites, lunches and evening meals. Our food is homemade and freshly cooked to order. A cracking selection of local real ales, quirky craft beers, delicious wines, spirits and speciality teas and coffees.